The Marvel Studios feature film “Wolverine 3” is now in production and is hiring extras, stand-ins, and featured specialty roles throughout filming. Additional speaking roles are also being cast. Shooting is taking place in the New Orleans area, with additional filming to take place in New Mexico. Roles for both adults and minors are being cast. 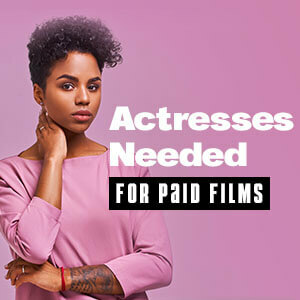 To be considered, all actors and extras MUST have legal eligibility to work in the entertainment industry in New Orleans and the state of Louisiana. This project is currently using the secret working title “Juarez”. Starring in “Wolverine 3” is Academy Award nominee Hugh Jackman as Logan/Wolverine. Also starring is three-time Golden Globe Award nominee Patrick Stewart, Gold Derby Award nominee Boyd Holbrook, Golden Globe Award nominee Eriq La Salle, Primetime Emmy Award winner Stephen Merchant, Screen Actors Guild Awards winner Richard E. Grant, and four-time Golden Globe Award nominee Liev Schreiber. Award winning filmmaker James Mangold is directing “Wolverine 3” from a screenplay written by Primetime Emmy Award nominee Michael Green and David James Kelly. Directors Guild of America DGA Award nominee Josh McLaglen is 1st Assistant Director. Producers are Black Reel Awards nominee Auren Shuler Donner, Academy Award nominee Simon Kinberg, and Hutch Parker. Three time Hugo Awards nominee Stan Lee is serving as executive producers. Production companies are The Donners’ Company, Hutch Parker Entertainment, Treeline Film, and POW! Entertainment. All talent are required to be legally eligible to work in Louisiana and in the United States. [ZOE] 11 to 14 year-old girl. Still a child, but a wounded badass, a pound puppy, raised in captivity in a time of battle, without support systems of normal childhood. She has no family and until now, has never left the compound in which she was born. She has an authentic intensity – her expressions and body language speak volumes, without words. Once released in the outside world, everything is new – every experience and every image a first. This does not mean everything is wonderful or wondrous. Some things she sees (things we might regard as conventional) may scare her or anger her and things we may find interesting may bore her. She has not been instructed in many social conventions – she can eat like an animal. She studies and often mimics people’s behavior. She has a high IQ, but is also a temperamental, impulsive and feral creature that can raise genuine mayhem. She is a girl that has never been kissed. Looking for a REAL girl – not made up or done up. Also with genuine edge, not made up or put on. Martial arts or gymnastics experience preferred but not necessary – but actress must be extremely physical and able to improvise scenes without necessarily resorting to speech. Do NOT play it “cute”. Starring and supporting roles are mainly being cast through talent agents. Nobody knows what happened on the night the heroes fell. All we know is that they disappeared and evil triumphed and the bad guys have been calling the shots ever since. What happened to Wolverine is the biggest mystery of all. For 50 years, no one has heard hide nor hair from him… and in his place stands an old man called Logan. A man concerned only about his family. A man pushed to the brink by the Hulk Gang. A man forced to help an old friend – the blind archer, Hawkeye – drive three thousand miles to secure his family’s safety. Get ready for the ride of your life, Logan.